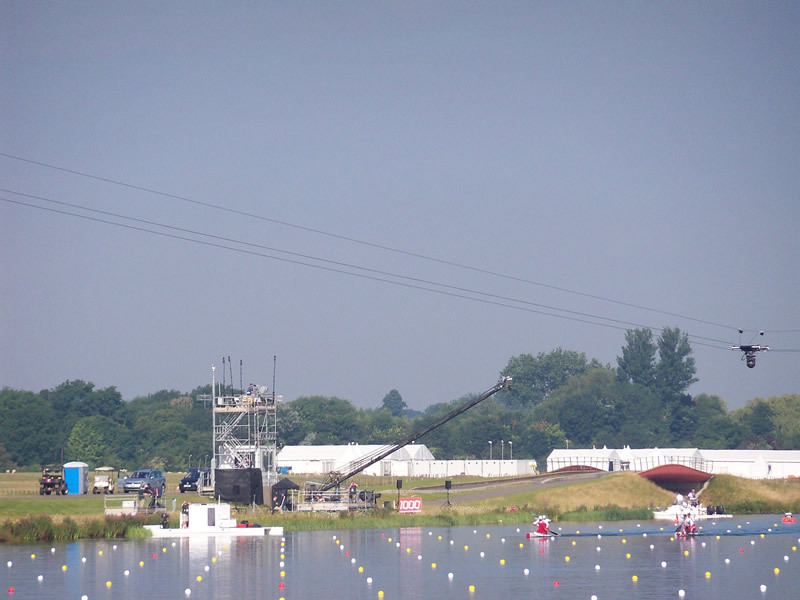 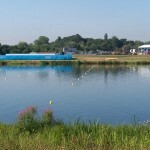 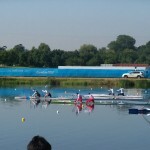 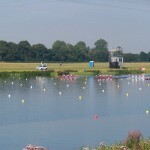 So my Olympic adventure came to an end at a place where Britain had so much success – Eton Dorney. 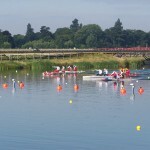 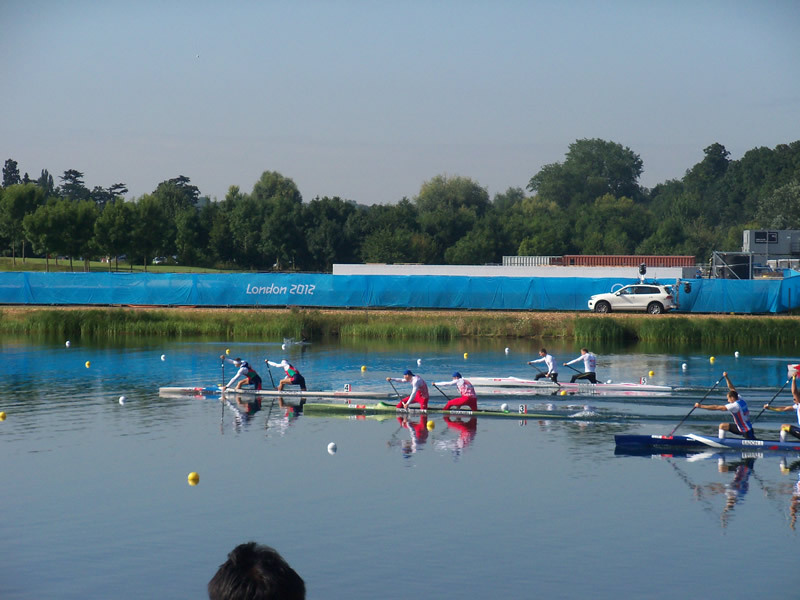 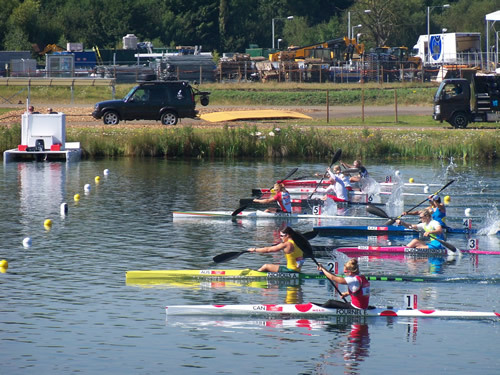 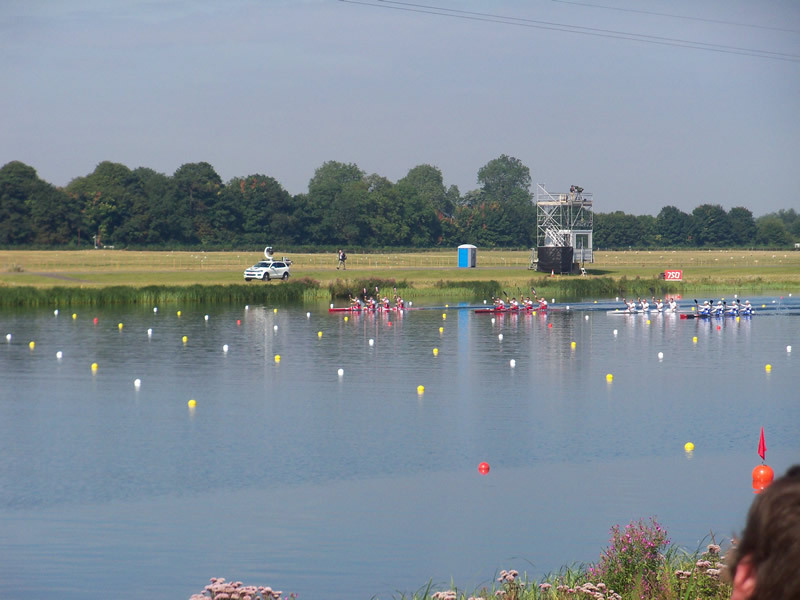 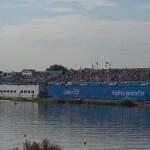 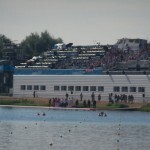 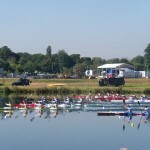 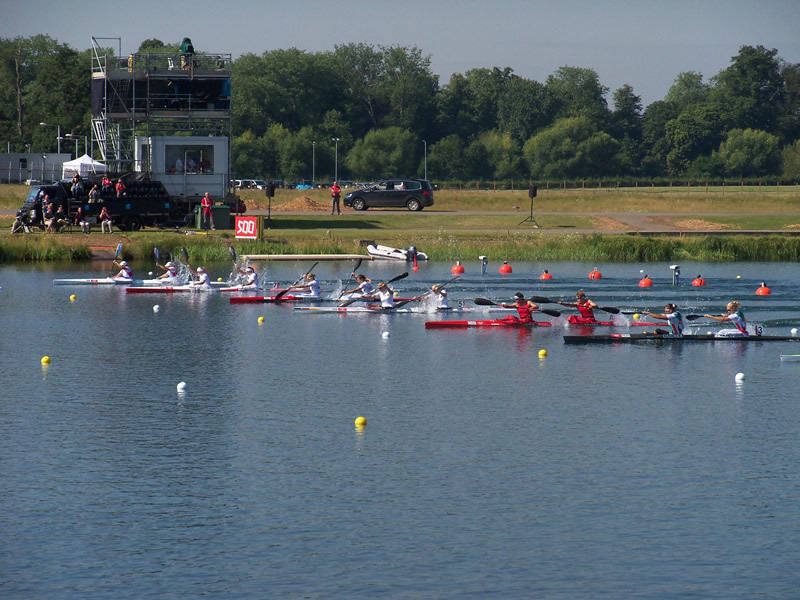 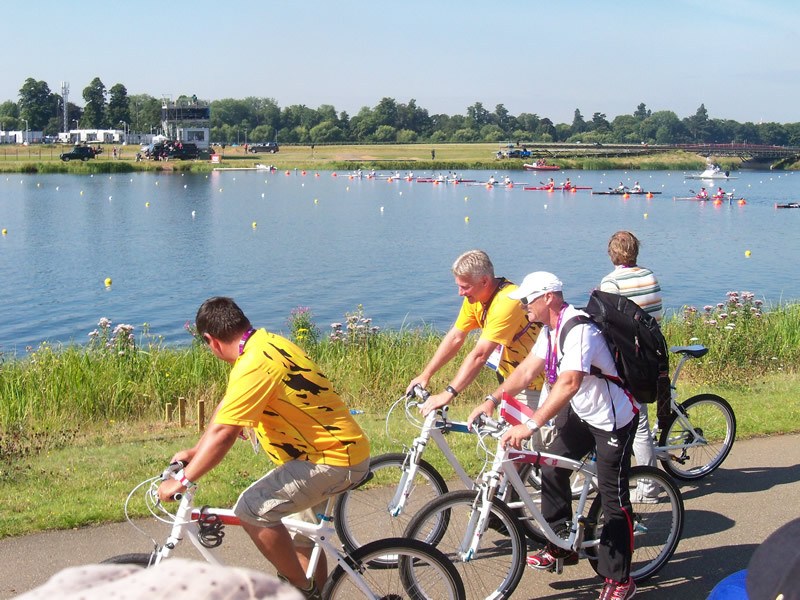 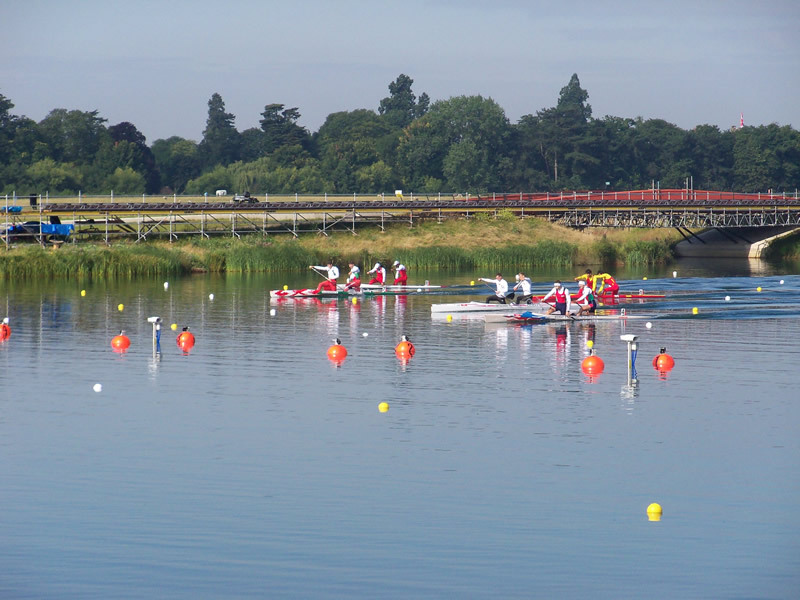 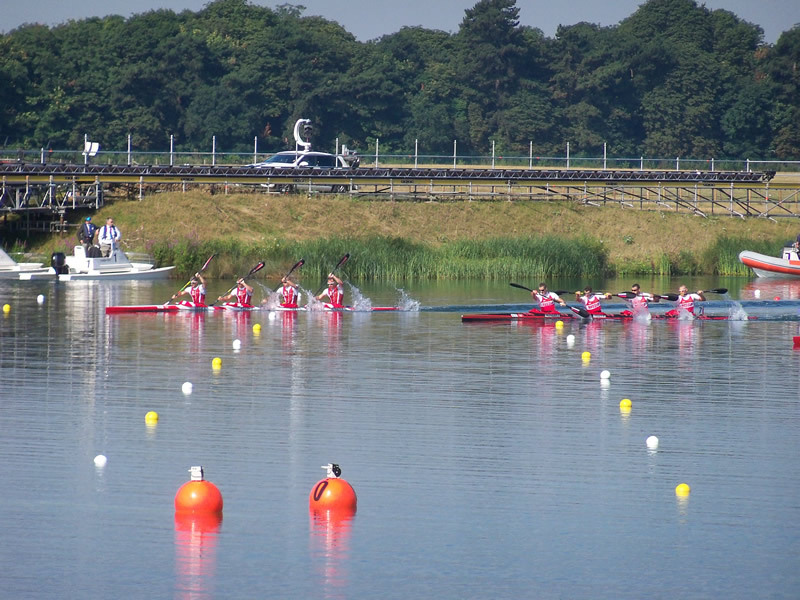 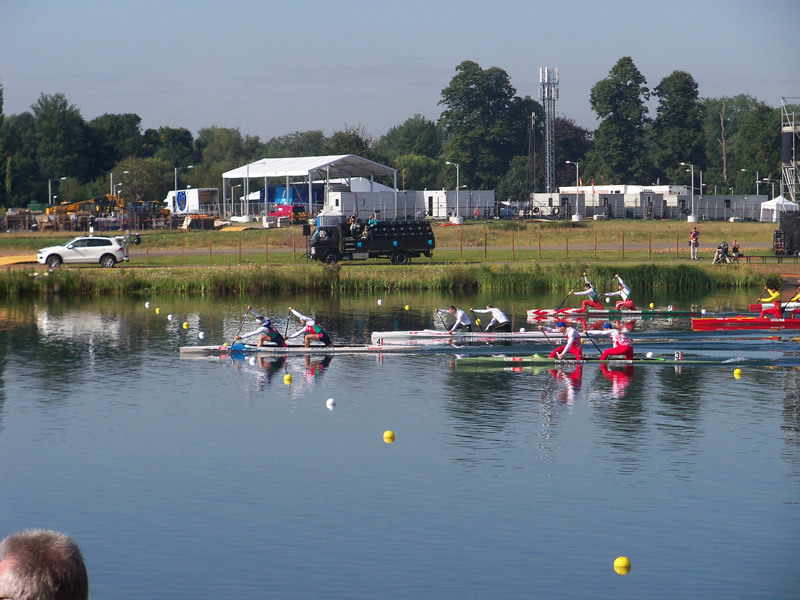 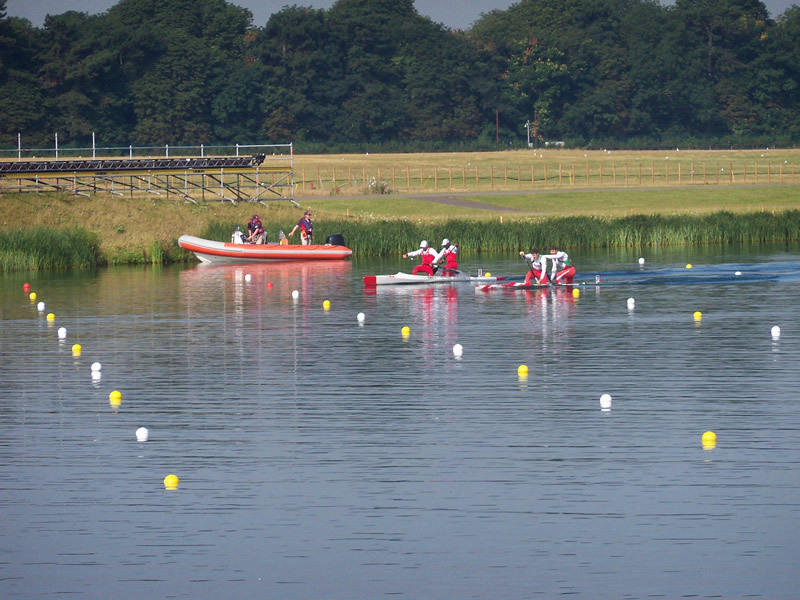 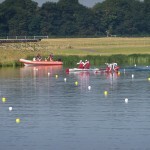 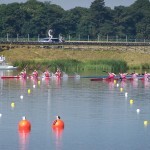 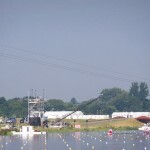 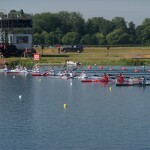 Although the rowing was almost a distant memory, the action continued on the purpose built lake for the Olympics – Eton Dorney was the venue for Canoe Sprint finals, and the first time I will see a medal ceremony at the games. 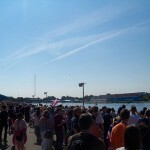 The event was a little different, and stupidly I was a little late in arising as I was confident that the venue wouldn’t be as busy as the day before. 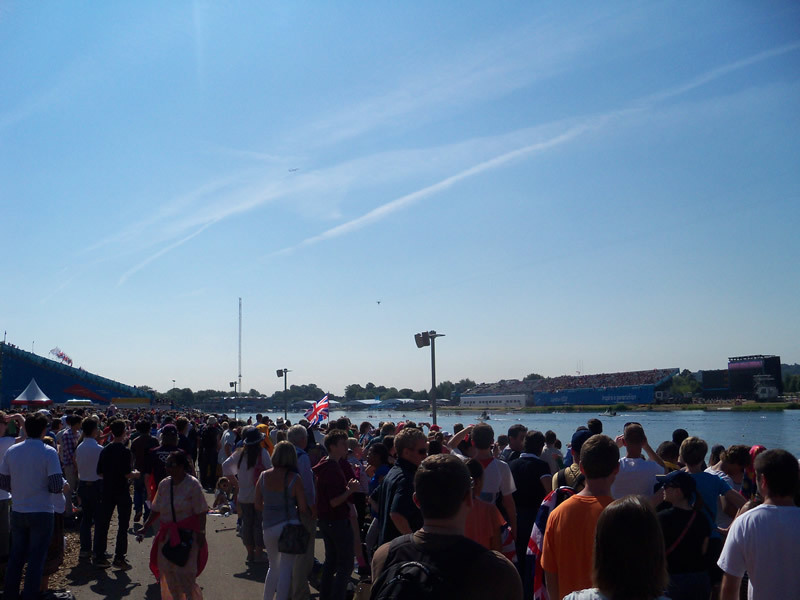 I was wrong, as not only did I have to get to Slough, I also had to walk about a mile or so from the car park to the venue. 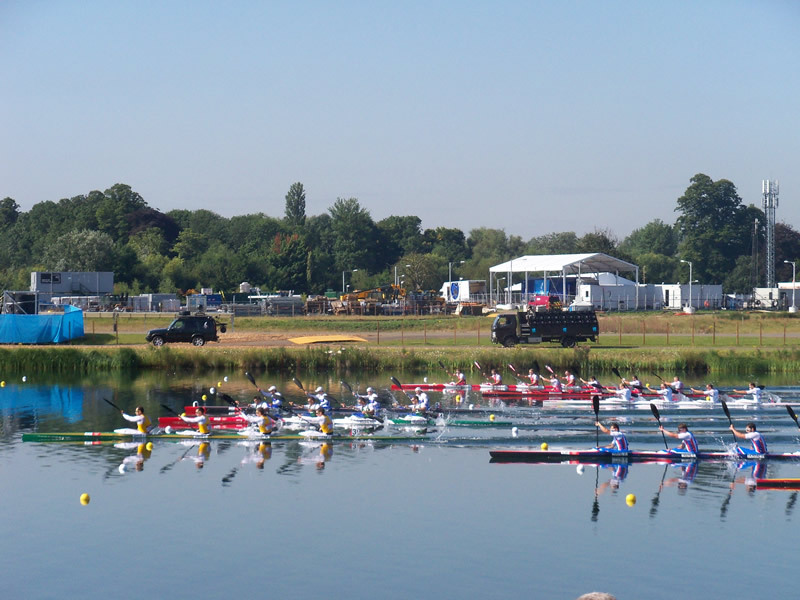 This – coupled with my delay in stopping by the water stand (I was thirsty, it was blisteringly hot!) 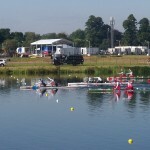 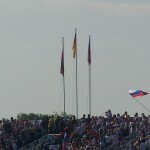 – meant I missed the first race – the Men’s Canoe Double 1000m, which was won by Germany’s Peter Kretschmer and Kurt Kuschela. 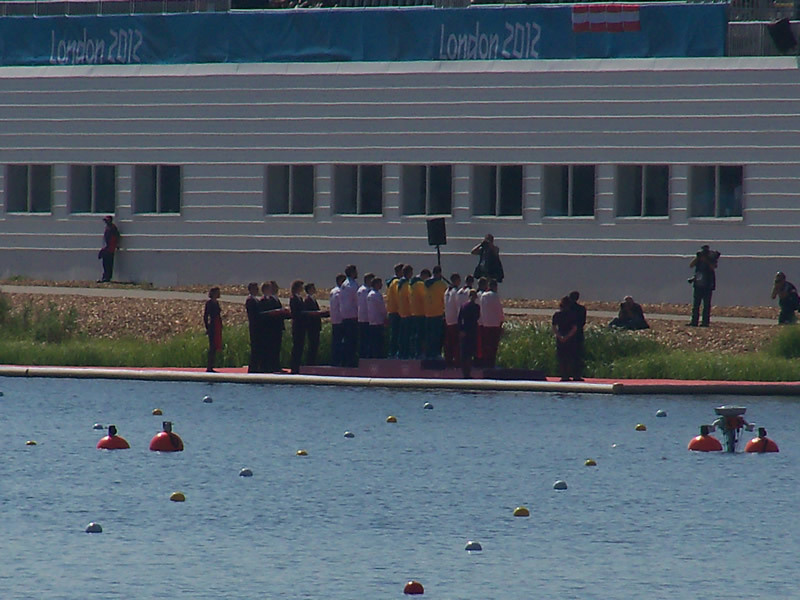 I did catch the second race – the Men’s Kayak Four 1000m, which produce a rarity at this games – an Olympic Gold for Australia. 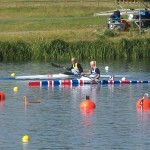 I nearly died of shock! The next race was probably the one that many people surrounding me were most interested in – the Women’s Kayak Single 500m. 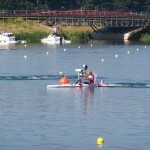 It was the first race that I actually saw a Brit compete in – Rachael Cawthorn. 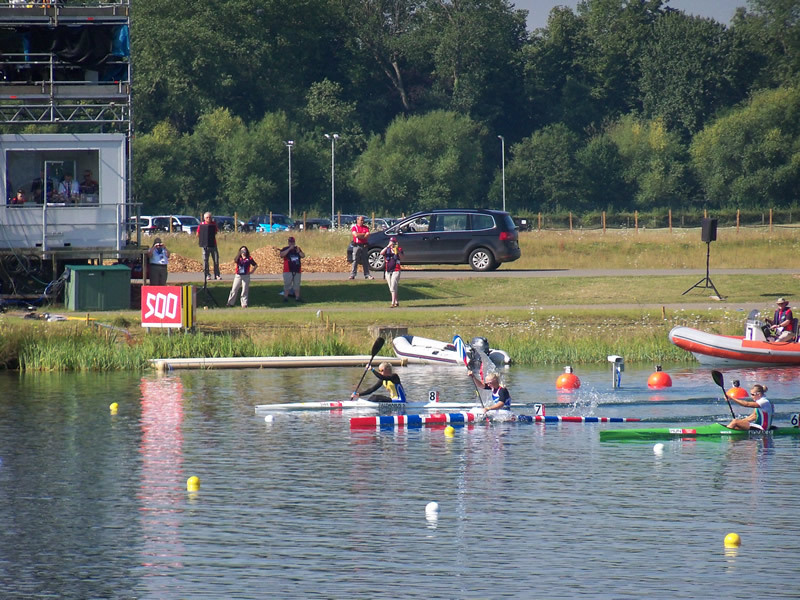 Sadly, it wasn’t to be as she came six, with the Hungarian Danuta Kozak winning the race, sending the Hungarian contingent around me into disarray. 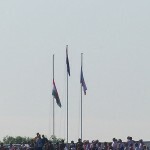 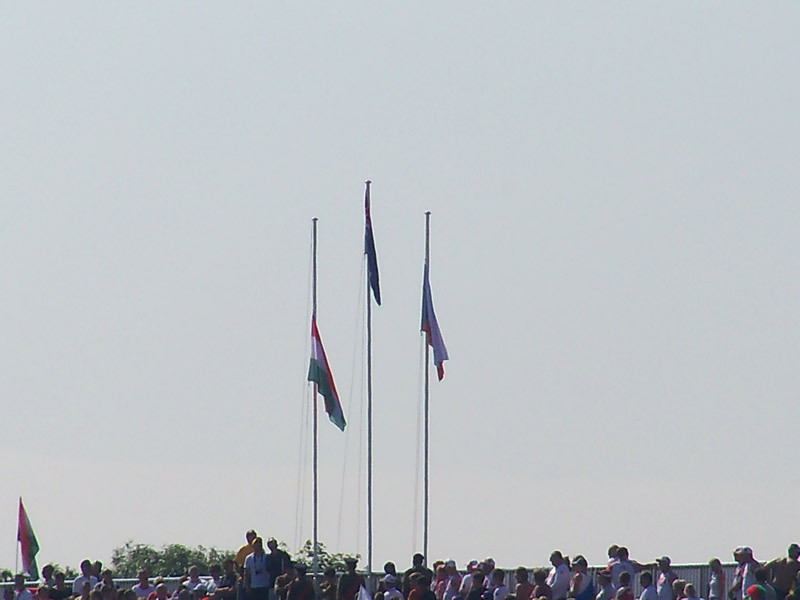 I’ve since decided I am very good luck for Hungarians, and should be adopted as a national hero for them. 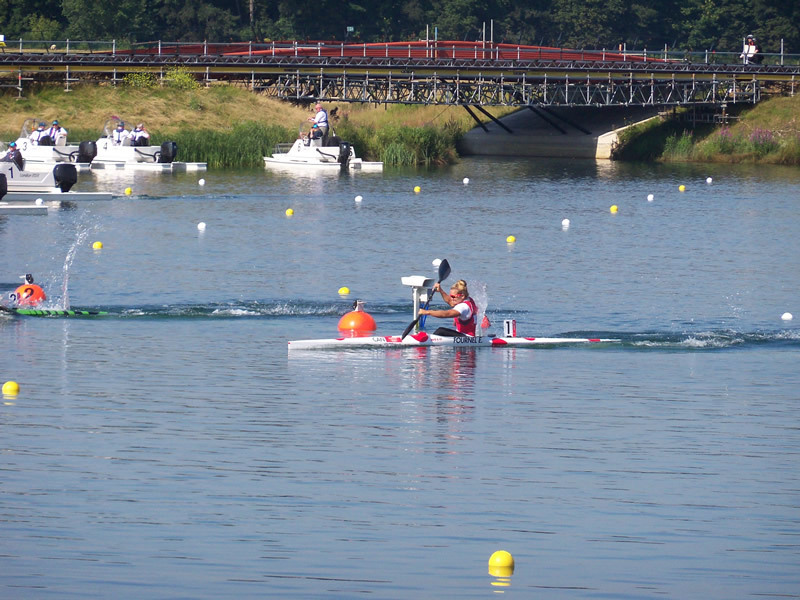 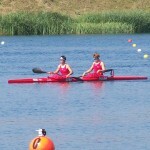 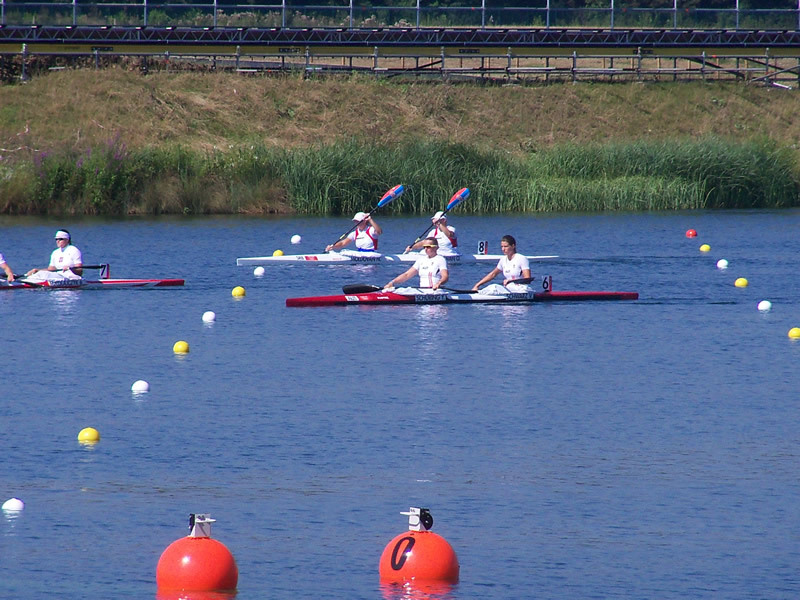 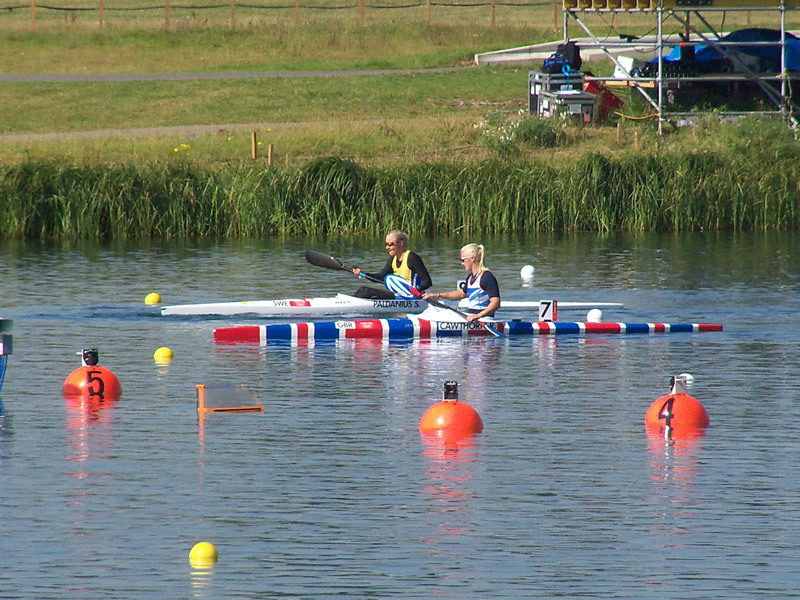 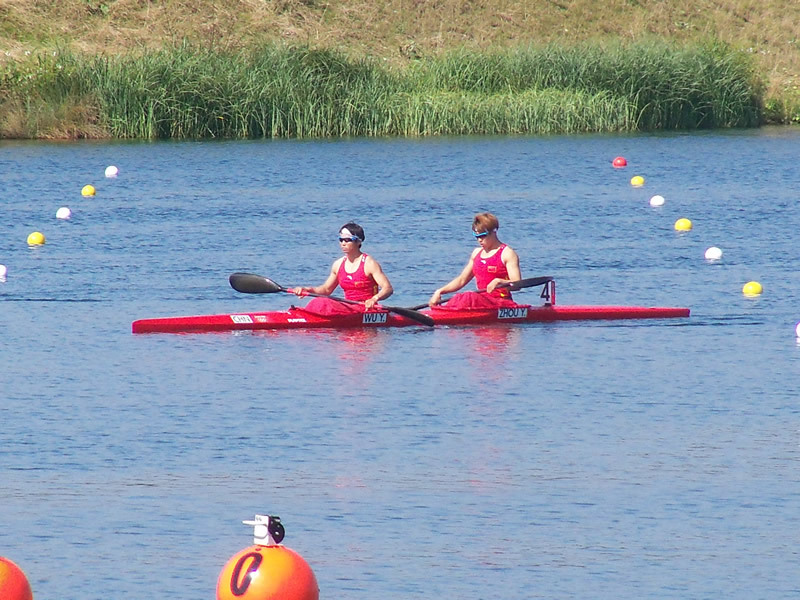 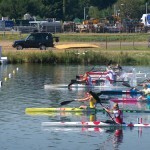 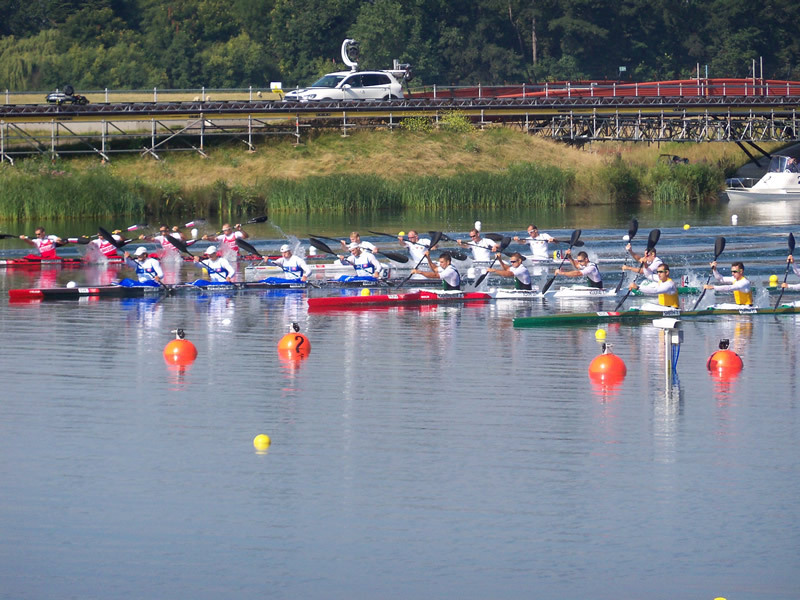 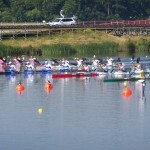 The final race – a Women’s Kayak Double 500m – was won by Franziska Weber and Tina Dietze. 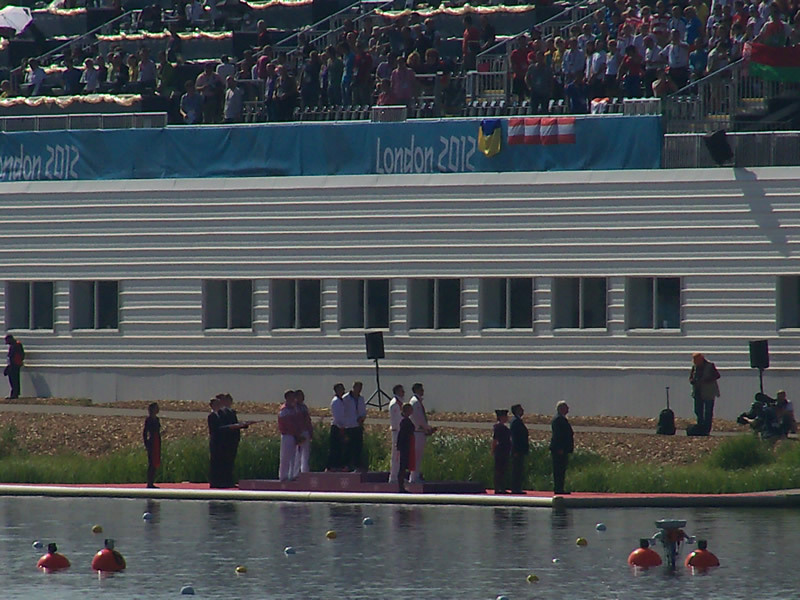 And that was it, in an hour, my Olympics was over. 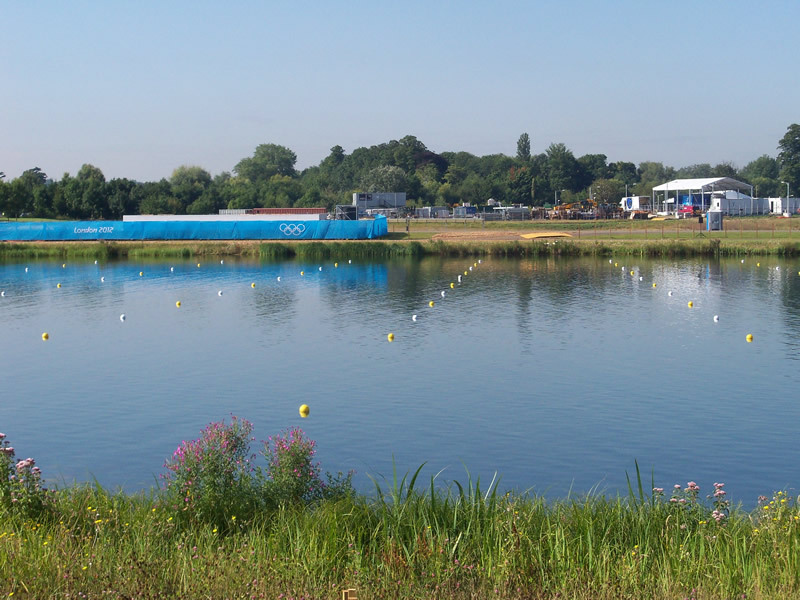 Hindsight being a wonderful thing, I kinda wish I went to the free Open Swimming event in Hyde Park, where we had a decent chance of a medal, and I had a decent chance of a lie in (it was a late one the night before), but nevertheless, the memories would stay with me forever. 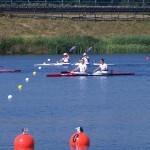 The best thing about Day 13 of the Olympic Games for me came a bit later at 10pm. 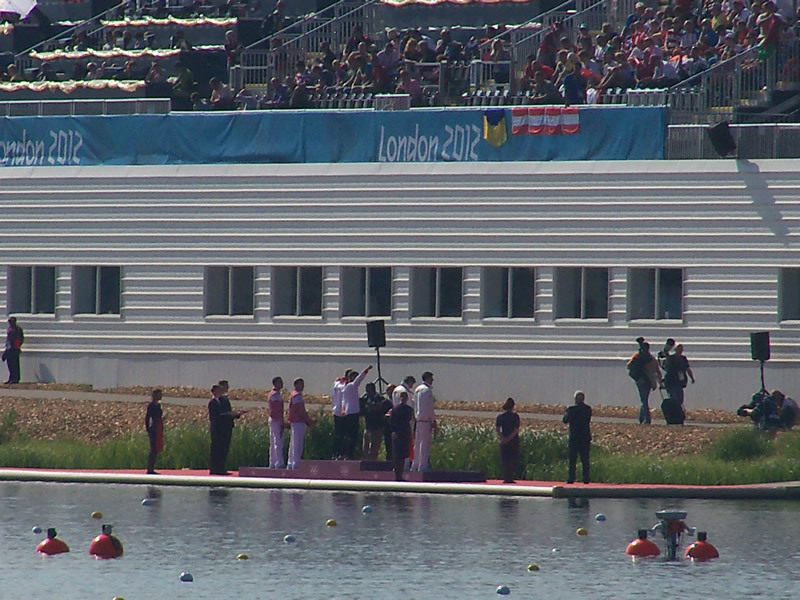 Whilst I’ve been watching a fair bit of the events, very little I have cancelled or changed plans to watch. 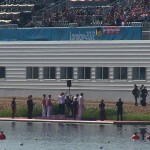 Until Jade Jones came onto the scene. 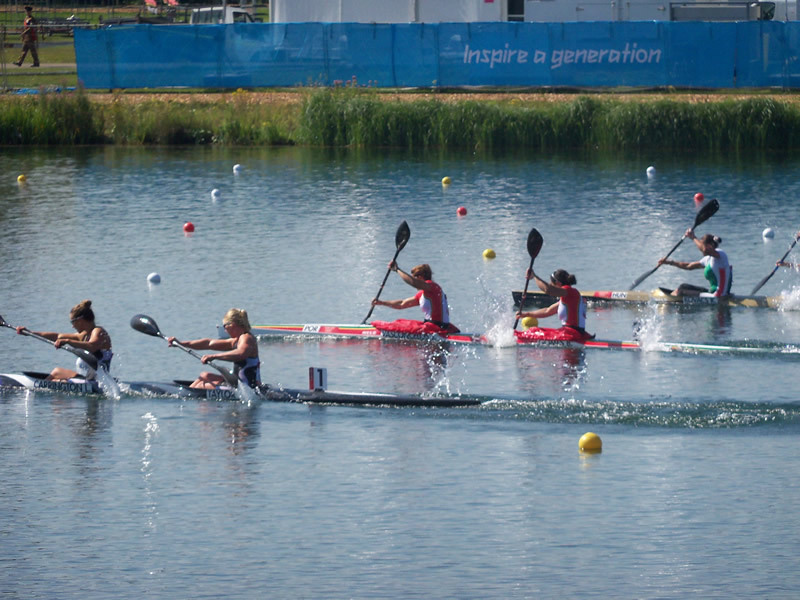 Jade is pretty much the only athlete in Team GB from North Wales – and is from Bodelwyddan. 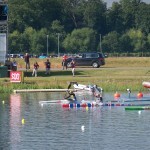 I caught her semi-final in the mid afternoon, which saw her beat one of the best in the world to reach the final of her class in Taekwondo. 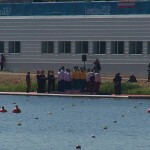 After meeting up with a few friends in the evening, I told them that – if nothing else – I’m watching the Taekwondo final, the first chance of Britain to get a Gold in that event, as well as the first North Walian gold medallist that I can remember. 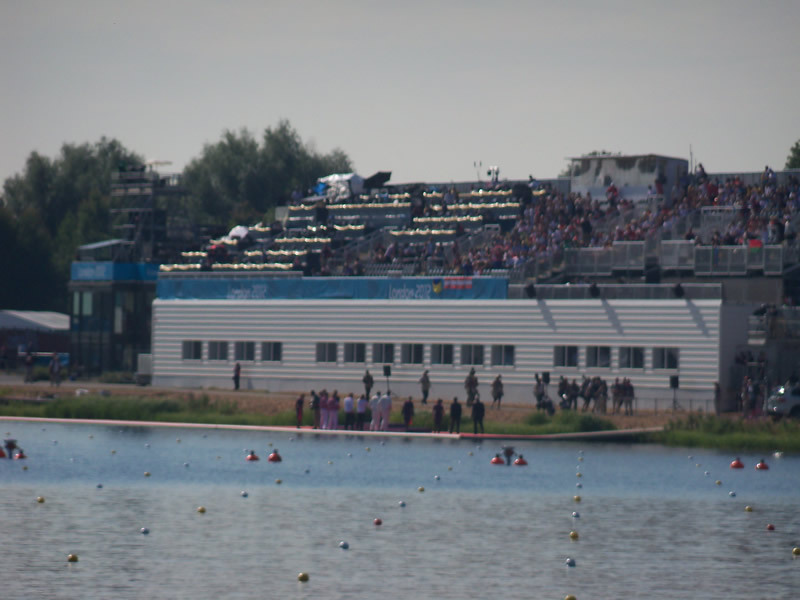 After commandeering one TV in the second bar I went in (the first didn’t allow them to change channels – boo! 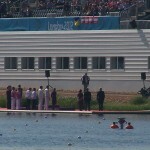 ), I sat and watched the entire of the final, feeling every punch and kick. 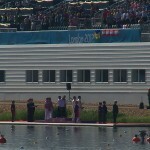 And lo-and-behold – she did it! 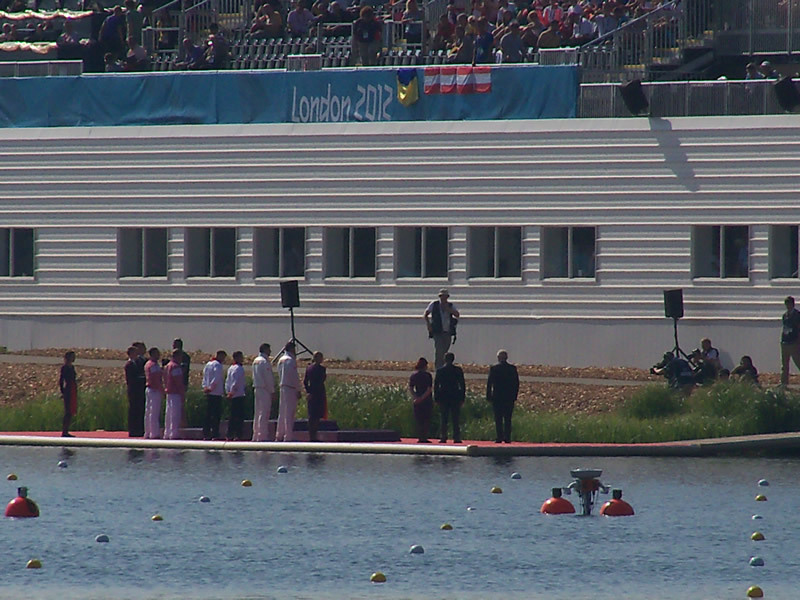 Jade Jones, Olympic Champion, from North Wales. 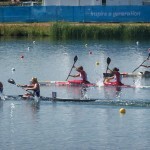 After getting bought a beer by a South African Gamesmaker, who wanted to record my story, as well as a Mexican journalist, I left the bar, headed back to the hotel in a drunken haze, after listening to Catatonia’s “I Am The Mob” about half a dozen times (often singing the line “When duty calls, gonna bust some balls” at the top of my voice on the tube). 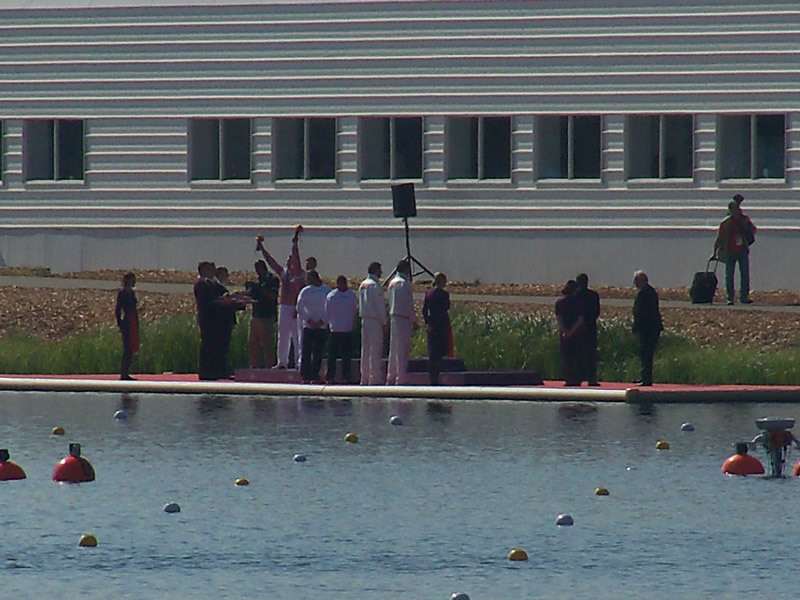 In a weird way, despite seeing the greatest football team of my generation live, the day spent in the Olympic Park, seeing the venue with a lot of British success and all sorts of smiley faces, I think Jade Jones’ gold medal will be my legacy from the games. 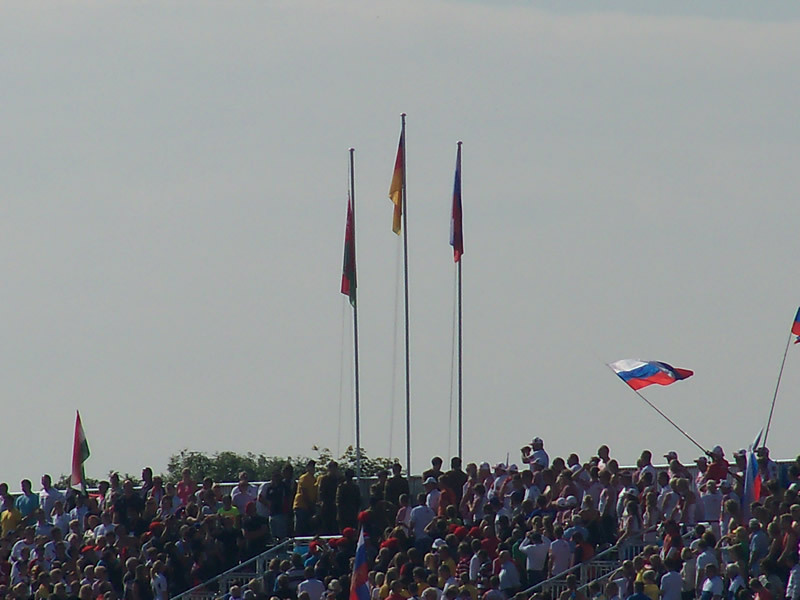 And yes, as I sit and write this, I like to think I am at least a little bit inspired. 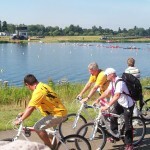 I’ve taken a look at the schedule for the next sporting event in the UK – the Commonwealth Games in 2014 in Glasgow, and already made a conscientious decision to go. 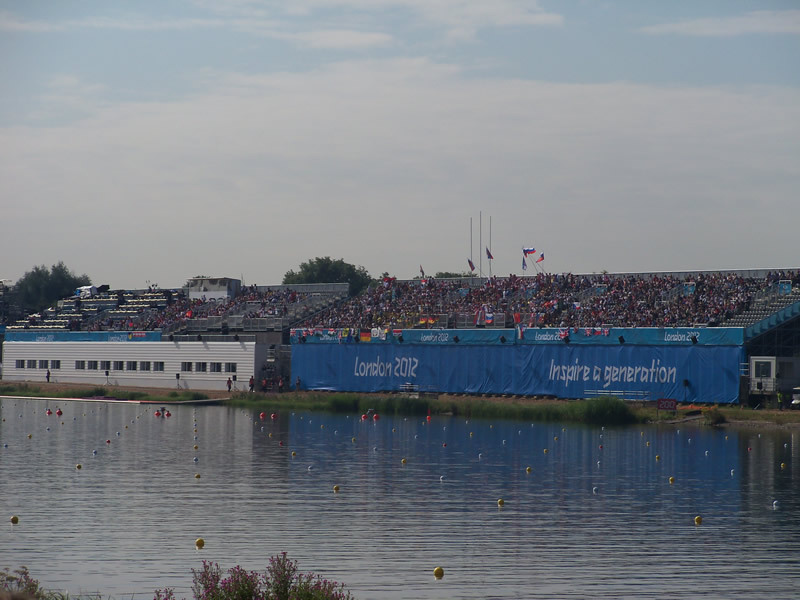 I am inspired; now to find a sport I can take up and get good in two years so I enter not as a blogger, but as a competitor. 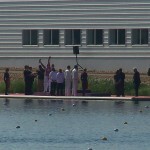 Now… where can I take up Lawn Bowls?